How to set up my security preferences with the new Back Office? This will guide you through setting up your security preferences for all of your content. 3. 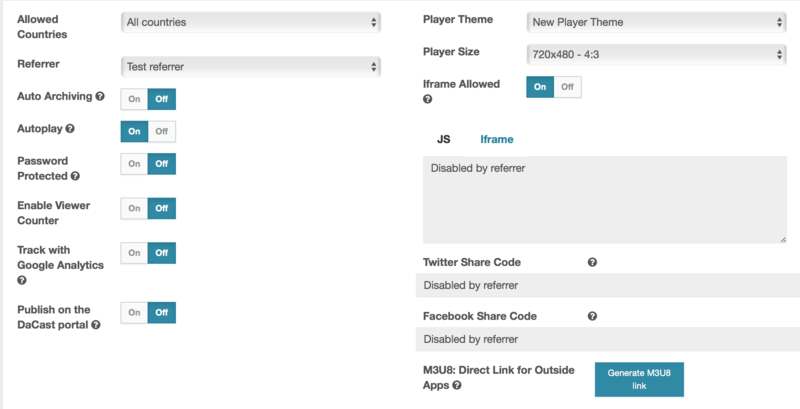 Iframe Security: Please note that by default, iframe security is ON. You can turn it OFF and deactivate this security feature whenever you decide. 4. Country Restriction: DaCast uses MaxMind, relying on their GeoIP2 databases and web services, to provide geographic restrictions to your content. This is the most accurate geolocation tool, using the IP of the viewer to detect their country of origin. Thus, DaCast can ensure your content is only viewed by viewers in countries you have approved. 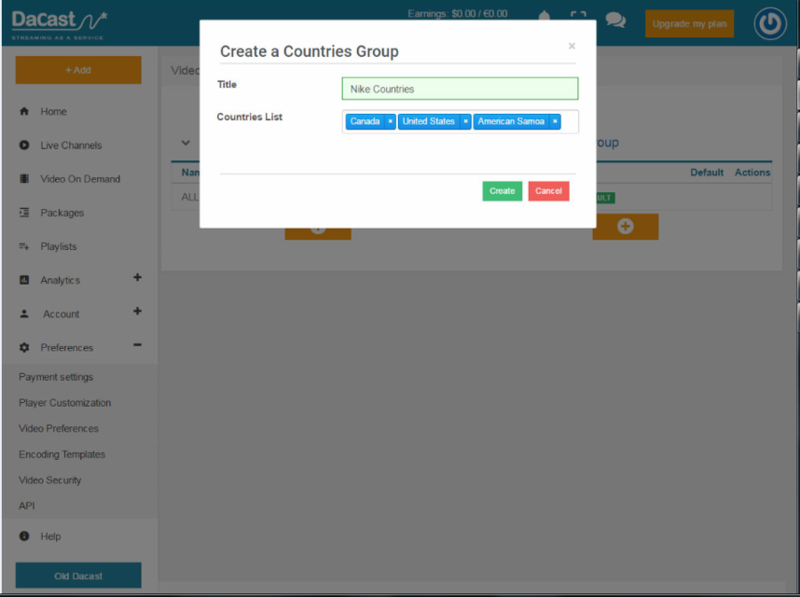 You can enter a title for your “Countries Group” and select countries within the countries list. Click CREATE once you’ve finished adding all the countries you wish to. You can restrict access to your content by choosing where your streams can be embedded. You can name your Group and complete your Referrers List by manually adding URLs. Please note that a URL should look similar to this: www.dacast.com, or www.dacast.com/viewer if you want it to be more specific. Please click SAVE once your info has been entered.